The Wine Country Bike Trek is a unique and well-established cycling event that takes place in the beautiful Santa Ynez Valley wine country and benefits People Helping People. Each day, riders choose from a 30- or 50-mile ride. Volunteers will greet you every ten miles with fully catered rest stops. 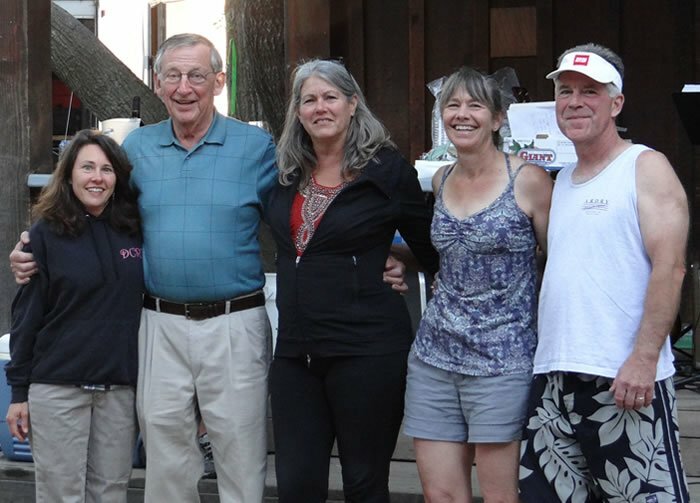 The Spirit of the Wine Country Bike Trek is community, family, and friends. We guarantee you’ll walk away with new friends and fantastic memories of your weekend in the Santa Ynez Valley. Best of all, the proceeds from the Bike Trek make a difference in the lives of those in need. These riders have committed to this ride for more than 30 years. This is a fundraising event for People Helping People and while fundraising is not required, you will receive a fundraising page. We’ll say thanks for your fundraising efforts with a variety of great prizes. Money raised from the Wine Country Bike Trek will help support People Helping People’s emergency and basic needs programs, including a Food Program, which provides groceries to over 1,300 people bi-weekly, health care access for adults and children that are underinsured and uninsured, and programs such as counseling for children and teens and an after school youth program offering homework assistance, tutorials, and arts and crafts activities. On Sunday, your final ride will end back with a BBQ lunch from the Buellton Rotary Club at the park at Zaca Creek Golf Course in Buellton (223 Shadow Mountain Dr). “I rode with my wife Carolyn and friends, Richard and Christine from Chicago. The rides were well laid out and well marked. They were tough but fair. My friends had such a good time riding, enjoying dinner and listening to the music each evening that they are planning on returning next year.” – Mike Balaban, a member of PHP’s Board of Directors and avid cyclist, rode 50 miles on all three days.